The Lenovo ThinkPad X301 finally got a successor as Lenovo India launched its premium ultraportable business laptop, the ThinkPad X1. Weighing 1.72-kg and measuring less than 1.7-cm, the Lenovo ThinkPad X1 is loosely comparable to other high-end ultraportable laptops like the Apple MacBook Air and Samsung Series 9. 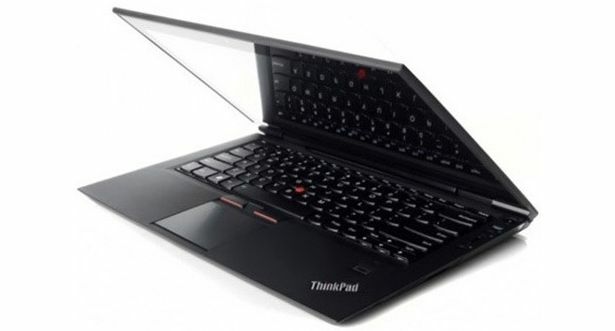 However, the Lenovo ThinkPad X1 is an out and out business laptop, continuing in the tradition of the ThinkPad brand and adapting to changing times. 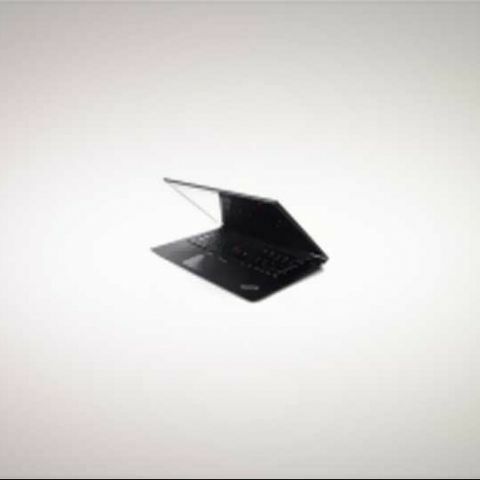 The ThinkPad X1 is the ultimate in Lenovo’s X-series laptop offerings, one that combines form and function to the max. The Lenovo ThinkPad X1 has a 13.3-inch widescreen display with a pixel resolution of 1366x768. What’s more, Lenovo claims it’s the only laptop in the market to have a corning Gorilla Glass display -- a de facto feature in most high-end phones these days. As a result, the ThinkPad X1’s screen is scratch resistant. Like the previous X-series ThinkPads, the new Lenovo X1 also comes with a rugged design with a roll-cage chassis for extra durability. The laptop is capable of surviving falls up to a few feet, which was demonstrated at the press conference we attended. Hard drives (or SSDs) present in the Lenovo ThinkPad X1 ultraportable are secured and resistant against shock through Lenovo’s active protection system which senses a free fall. Not just content at being a high-end business machine, the Lenovo ThinkPad X1 tries to incorporate a bit of multimedia quotient: the laptop has Dolby Home Theater V4 speakers, an HDMI port for playing movies on a big screen HDTV, and of course a glossy, bright display screen for richer visual quality. Lenovo claims the ThinkPad X1 comes with RapidCharge, which ensures the X1 charges from 0 to 80% battery capacity within 30 mins. Its standard six-cell battery claims to offer up to 10 hours of battery life, and the battery is rated to withstand 1000 recharge cycles -- better than the 300 to 400 recharge cycles offered by previous X-series ThinkPads. The Lenovo ThinkPad X1 comes with the latest generation of Intel Core i5, i7 processors, up to 8GB of RAM, a standard 160GB SSD (which can be paired with a 2.5-inch spinning hard drive), and onboard Intel HD 3000 graphics -- optional upgrade to Nvidia GeForce 500M GPUs is available, the exact GPU models weren’t made available. The laptop is also equipped with HD webcams for enhanced VOIP and microphones that suppress noise. The Lenovo ThinkPad X1 is now available in stores across India. The range starts at Rs. 85,000 onwards.